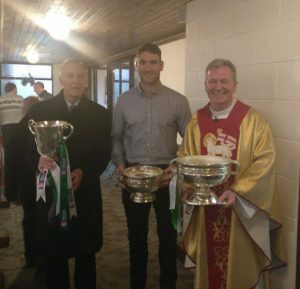 A very proud Gerry Moran with David Whyte & Fr. Paul Dempsey with our silverware. Our players were all coached by Gerry Moran at some stage during their underage years with the club. Moorefield Christmas miracle! 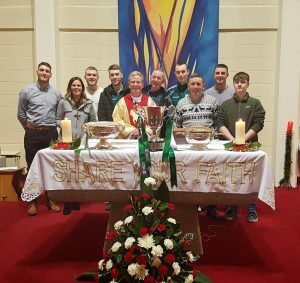 Leinster Senior Club Cup hoisted at Newbridge mass this morning.